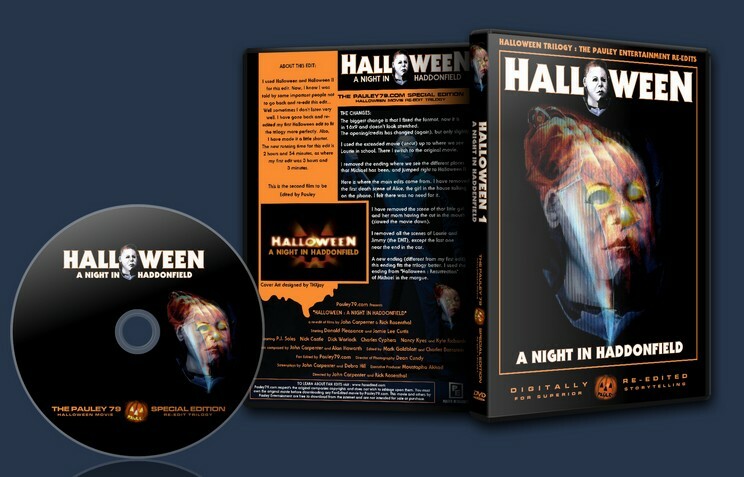 This combines Halloween 1 and Halloween 2 to one complete movie and presents an all new ending. 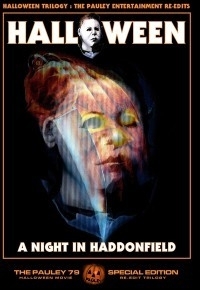 I am a big fan of the Halloween movies. 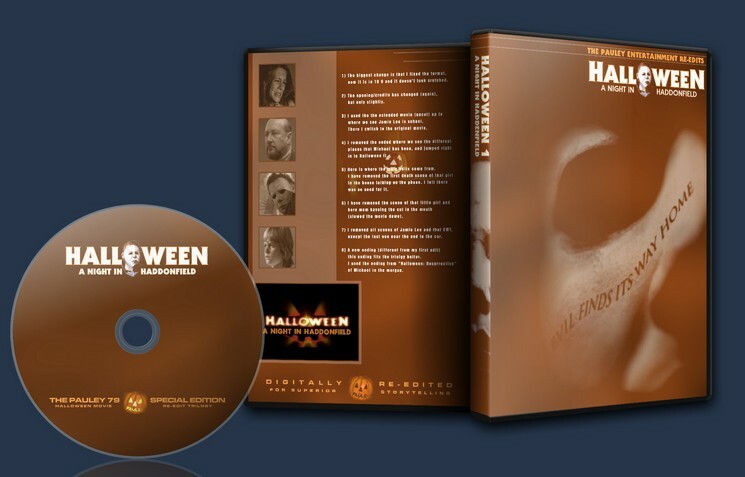 And I have always wanted to have a long version of Halloween. Seeing what ADM did, and after trying out my editing skills on my DS9 edit, I think this edit is the best I have done! I have found no errors in it at all. And everything flows together. 1) The biggest change is that I fixed the format, now it is in 16×9 and it doesn’t look sretched. 3) I used the the extended movie (uncut) up to where we see Jamie Lee is school. There I switch to the original movie. 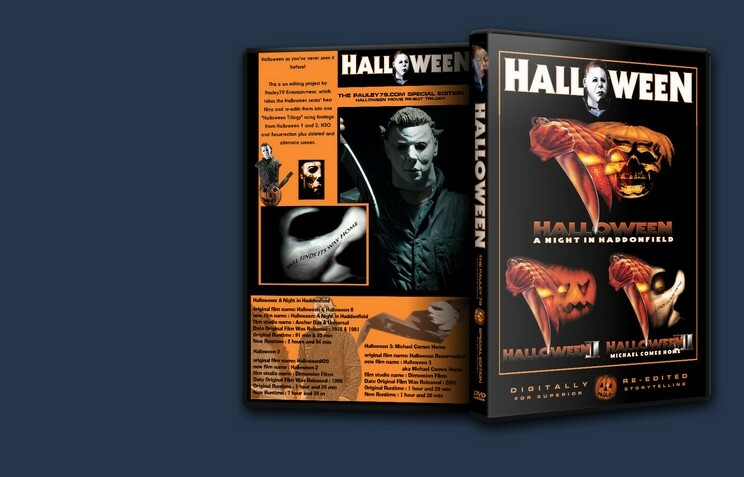 4) I removed the ended where we see the different places that Michael has been, and jumped right in to Halloween II. 5) Here is where the main edits come from. I have removed the first death scene of that girl in the house talking on the phone. I felt there was no need for it. 7) I removed all scenes of Jamie Lee and that EMT, execpt the last one near the end in the car. 8] A new ending (different from my first edit) this ending fits the triolgy better. I used the ending from “Halloween: Resurrection” of Michael in the morgue.